Sayer, Chloë. Mexico: the day of the dead. An anthology. Boston, Shambhala Redstone, 1993. 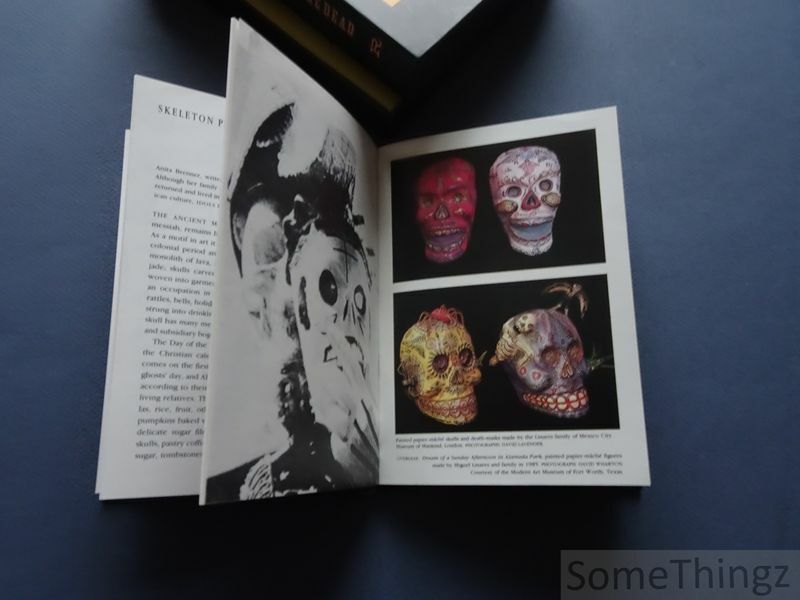 Booklet, hardcover, 96pp., 12.5x17cm., illustr. in col. and b/w., in very good condition. 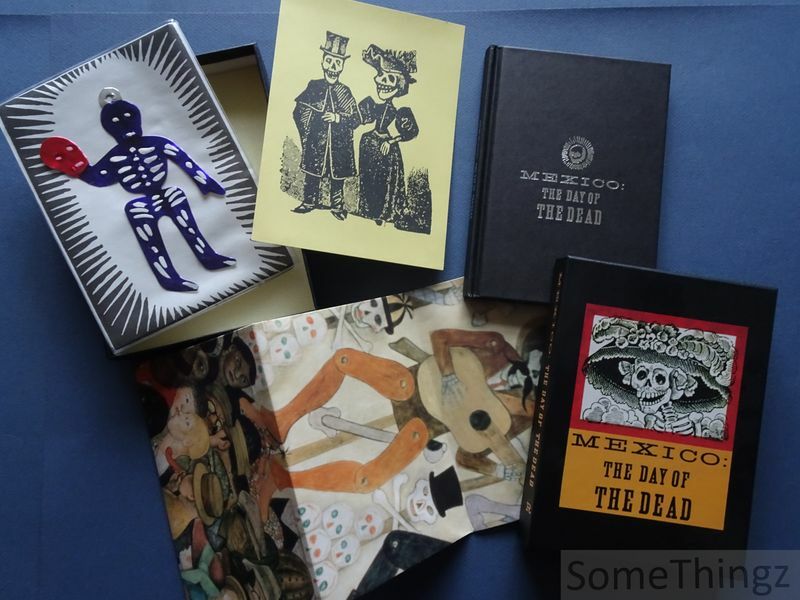 In original publishers box, containing a color print of a detail from a mural by Diego Rivera, a tiny skeleton by artisan Victor Edmundo Cruz Sanchez and a print by José Guadalupe Posada. Complete!. ISBN: 9780877738893.